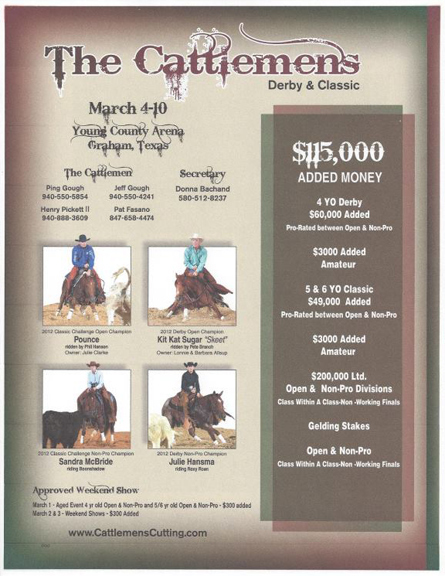 The Cattlemens 6th Annual Derby and Classic will be held at the Young County Arena from March 2 – 8th, 2015. Click for detailed schedule here. This entry was posted on Wednesday, February 11th, 2015 at 9:43 am	and is filed under News & Updates. You can follow any responses to this entry through the RSS 2.0 feed. Both comments and pings are currently closed.